RATON � Raton fans have been packing the stadium since the season opened, coming early and staying late despite not seeing much success from their team. But their patience paid off Sunday, as the Oso topped Santa Fe 12-6, getting the win from reliever Tim Sylvester, who allowed only one Fuego run in the final four innings. Santa Fe opened the scoring when Kyle Zimmerman singled in Josh Barnett, then Barnett came home on a Devonte Odoms double. Raton matched that in the bottom of the stanza when Steadman Smith doubled and Logan Morello walked, then both stole a base and Smith scored on a ground out that advanced Morello who came home on a wild pitch. The Osos took the 3-2 lead in the second on an error, single by Travis Fuquay and fielder�s choice, then the two teams mirrored each other again in the third. Fuego Josh Barnett singled, stole second and came home on an Eric Scott single then Louie Saenz walked for Raton, coming around on an error and Bret Smith single. The Osos stretched their lead to 5-3 in the fourth when Fuquay was hit and stole his way home. Santa Fe tied it at 5-5 in the fifth when Josh Barnett triple and scored on a putout and Scott and Larry Rodriguez both singled, with Scott coming home on an error. Santa Fe got its final run in the sixth off Sylvester, whoi walked Jimmie Maxwell. Maxwell advanced on an error and wild pitch, then came home on a fielder�s choice. But in the bottom of the stanza, Raton broke it open. After getting the first out, Meier walked Fuquay then Smith singled. That brought in Derrick Sampel, who struck out Morello but then gave up a 2 RBI single to Saenz and a 2 RBI home run bu Michael Lange, something Hancock said was long overdue. The Osos added three more in the seventh when Doyle walked and scored on an error; Fuquay reached on a fielder�s choice and Smith was hit, with both coming in on a Morello single off reliever Brandon Jordan. 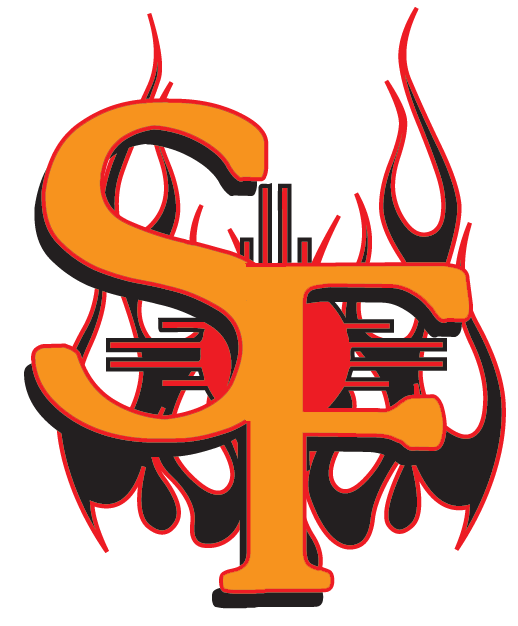 Santa Fe manager Bill Moore was disappointed with his team�s effort. �We didn�t play as well as we�re capable of and I think they played pretty well, and it was just a combination of those two things and we wound up on the short end,� he said. Hancock had praise across the board, singling out a number pf players. Ratons hitting was also spread out, with only Smith getting more than one hit. Barnett was the only Fuego with multiple hits, going 3-for-5. The teams have one more game at Gabriele Park before heading back south to Santa Fe, and Moore said the plan for Monday is simple. Hancock�s plan is equally simple. Game time Monday is 7 p.m.